Author: Jaco Leuvennink (Fin24). Cape Town – Building on the sense of a new beginning created by President Cyril Ramaphosa’s State of the Nation Address on Friday, Finance Minister Malusi Gigaba’s Budget Speech in the National Assembly on Wednesday afternoon was all about rebuilding and restoration in challenging times. This is a tough but hopeful budget,” he said at the start of his speech. This is probably a fair comment, seeing that the risks and pressures were also acknowledged. The finance minister noted that the economic outlook and indicators have improved since his mini budget in October, which painted quite a gloomy picture. The main element of Wednesday’s Budget is the first rise in the VAT rate since 1993, from 14% to 15%. Gigaba said the rate is still low compared to some of South Africa’s peers. In total, an additional R36bn of tax will be generated this year, with a limited income tax bracket adjustment for inflation and other measures. Richer people will pay quite a bit more in estate duty. On the spending side, fiscal consolidation is set to continue with expenditure reductions of R85bn over the next three years. The allocation for phased in fee-free higher education amounts to R57bn over the next three years, of which R12.4bn will go towards needy first-year students in 2018/19, Gigaba said. New first-year students with family incomes of below R350 000 per year at universities and TVET colleges will be funded for the full cost of their study in the 2018 academic year. The state’s contingency reserve will also be strengthened, with a provisional allocation of R6bn set aside in 2018/19 and R10bn over three years for, among others things, drought relief and augmenting public infrastructure. Social grants were increased by an average of about 7%. Gigaba stressed that bringing down debt levels is important, saying: We dare not borrow irresponsibly, leaving it to future generations to repay. The consolidated budget deficit is projected to narrow from 4.3% of GDP in 2017/18 to 3.5% in 2020/21. In all, the budget could be described as balanced and responsible under the circumstances, which could put the South African fiscal position on a healthy path. GDP growth of 1% is expected for 2017, up from 0.7% projected in October. Growth of 1.5% is forecast for 2018 and, according to the Treasury, will reach 2.1% by 2020. The economy has benefited from strong growth in agriculture, higher commodity prices and, in recent months, an upturn in investor sentiment. The global economic recovery provides a supportive environment for South Africa to expand trade and investment. The government will implement structural reforms to promote investment by reducing policy uncertainty and promoting good governance and sound financial practices at state-owned enterprises (SOEs), the budget review stated. Exports are expected to grow by 3.8.% in 2018, 3.4% in 2019 and 3.5% in 2020, after estimated negative growth in 2016 and an estimated increase of 1.5% last year. Consumer inflation, which reached 6.3% in 2016, is expected to fall to between 5.3% and 5.5% in the years 2017 to 2020. The current account deficit, after reaching 4.4% in 2015, will come down to an estimated 2.3% in 2018, 2.7% in 2019 and 3.2% in 2020. Gross fixed-capital formation continued to decline in 2017 and unemployment reached the highest level recorded since 2003, the review states. The consolidated budget deficit crept up to 4.3% of GDP in 2017/18 (3.1% budgeted last February). This was due to less than expected revenue being collected (R48.2bn against R50.8bn still estimated in October’s mini budget). The deficit is expected to narrow to 3.5% in 2020/21. Net state debt is still creeping up, but expected to stabilise at 53.2% of GDP in 2023/24. It is the first time this estimate exceeds 50%. Main budget non-interest expenditure is projected to remain stable at 26.6% of GDP between 2017/18 and 2020/21. An additional R36bn (R28bn last year) of tax revenue will be raised by proposed measures in 2018/19. The fiscal framework reflects two major changes that followed the mini budget: medium-term expenditure cuts identified by a Cabinet subcommittee amounting to R85bn, and an additional allocation of R57bn for fee-free higher education and training. Contingency reserves have been revised upwards to R26bn over the next three years. Real growth in non-interest spending will average 1.8% over the next three years. Post-school education and training is the fastest-growing category. In total R324bn is provided for higher education and training, including R57bn of new allocations for fee-free higher education and training. R792bn (R707.4bn was the figure quoted last year) will be spent on basic education, including R35bn for infrastructure and R15.3bn for learner and teacher support materials, including ICT. R123.3bn (R114bn) on subsidised public housing. R125.8bn (R94.4bn) on water infrastructure and services. R207.4bn (R189bn) on transfers of the local government equitable share to provide basic services to poor households. R667bn (R606bn last year) on health, with R66.4bn (R59.5bn last year) on the HIV/Aids and TB conditional grant. R129.2bn to support affordable public transport. The VAT rate will increase from 14% to 15% from April 1 2018. R6.8bn will be raised from partial relief for bracket creep. Increases in the general fuel levy and alcohol and tobacco excise duties will together raise revenue of R2.6bn. Ad valorem excise duties for luxury goods such as motor vehicles will be increased. Estates above R30m will now be taxed at a rate of 25%, instead of 20%. The plastic bag levy, motor vehicle emissions tax and the levy on incandescent light bulbs will be raised to promote eco-friendly choices. A health promotion levy, which taxes sugary beverages, will be implemented from April 1 2018. The general fuel levy will increase by 52 cents per litre on April 4 2018. This will push up the general fuel levy to R3.62 per litre of petrol, after a hike of 30c/litre last year. Personal income tax will bring in R505.8bn, VAT R348bn and company tax R231bn in the 2018/19 financial year. Consumers of alcohol products will pay between 6% and 10% more for their habit. The increase on tobacco products is 8.5%. State old age grant from R1 600/month to R1 695. State old age grant for over 75s will be increased from R1 621 to R1 715. War veterans grant will go up from R1 620 to R1 715. Disability grant will increase from R 1 600 to R1 695. The foster care grant is set to go up from R920 to R960. The child care dependency grant is set to rise from R1 600 tot R1 695. The child support grant will be increased from R380 to R405. Allocations of R4.2bn for national health insurance will be funded through adjustments to the medical tax credit. A property audit conducted by the Department of Public Works has shown that national government owns up to 195 000 properties, with an estimated value of over R40bn. Gigaba said government will work on a programme for the more efficient utilisation or disposal of these properties in the short to medium term. Government may be required in the coming year to provide financial support to several SOEs. 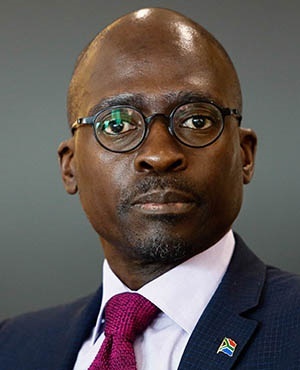 This could be done through a combination of disposing of non-core assets, strategic equity partners, or direct capital injections, Gigaba said in his speech.